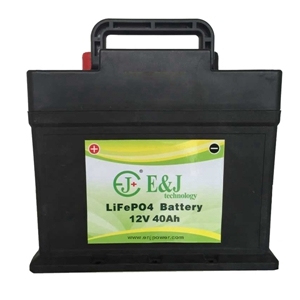 The E&J LiFePO4 Starter Batteries 12V-48V and capacity 6-160Ah with 600A peak discharge are the best possible example of a new generation of Lithium Ion based Starter Batteries. These Batteries are based on Lithium Ion LifePo4 technology, housed in a high tech plastic casing similar to the SLA cases. It is designed with a high tech look and feel, and acts as a heavy-duty and long term replacement for older and increasingly unwanted, environmentally dangerous solutions. E&J creates Starter Batteries for numerous applications, range from motorcycles to scooters, karts,ATV, snowmobile, watercraft, golfcarts and outboard combustion motors for boats up to cars and even trucks.